Hope abounds and persists. Years later Peter wrote, “3 Blessed be the God and Father of our Lord Jesus Christ, who according to His abundant mercy has begotten us again to a living hope through the resurrection of Jesus Christ from the dead,…” (1 Peter 1). We have rules and we have exceptions—each has its proper place. 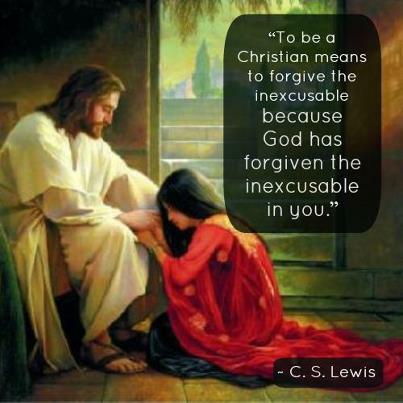 Today, however, when the topic is forgiveness, we hear many Christians thoughtlessly citing the exception just as if it were the rule; it appears as if they have never heard and applied the true rule. (Shades of Murphy’s Law!) We hear the exception from Jesus on the cross (an exceptional circumstance indeed!) with reference to his executioners: “Father, forgive them, for they know not what they do” (Luke 23:34). But Jesus also teaches us the clear rule that forgiveness is conditional based upon the repentance of the sinner: “Take heed to yourselves. If your brother sins, rebuke him; and if he repents, forgive him” (Luke 17:3). First, note that this concerns a “brother,” that is, a fellow believer. And we must not confuse these two aspects: though forgiveness is conditional on repentance, it is also unlimited, even to seventy times seven.